Emily, from Life Sew Savoury, couldn't find a bag that fulfilled all her requirements, and so she designed her own. 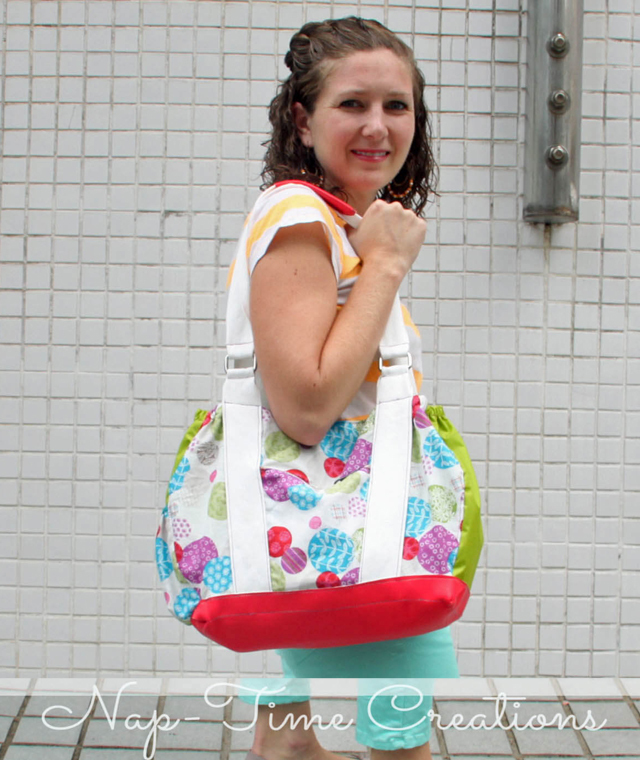 Complete with free PDF pattern, the tutorial shows how you can make the Perfect Purse. There's even a zippered pocket on the outside that's the right size to fit a phone. I LOVE your newspaper print grocery bag! Very clever style and eye catching fabric. Good job. Thanks so much. That bag has been used so many times, now, and often attracts comments from the shop assistants.